For nearly two thousand years, Order and Chaos have molded the world of Recluce. 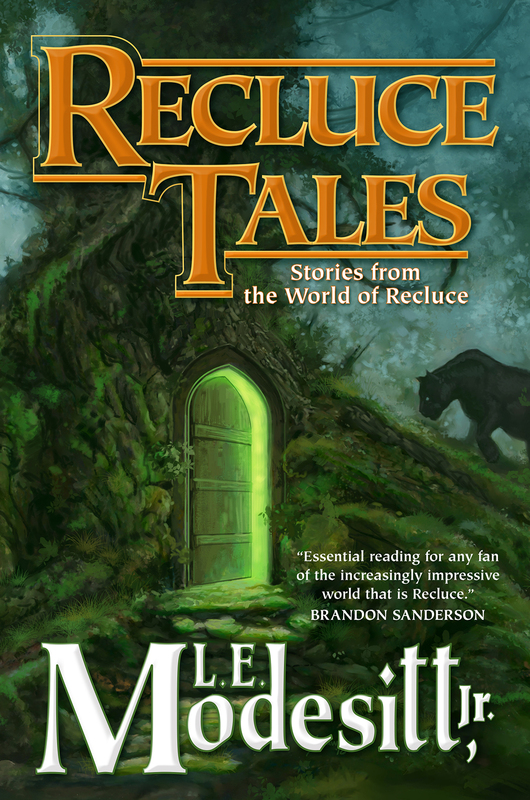 Recluce Tales: Stories from the World of Recluce collects seventeen new stories and four popular reprints to provide new and intriguing glimpses of this fascinating world’s history and its complex magic system. Modesitt’s essay “Behind the ‘Magic’ of Recluce” gives insight into his thoughts on developing the magical system that rules the Island of Recluce and its surrounding lands, while “The Vice Marshal’s Trial” takes the reader back to the first colonists on Recluce. Old favorites “Black Ordermage” and “The Stranger” stand side-by-side with thrilling new stories, including a new novella about a forgotten empress.